No matter where you rank in terms of garden expertise, we’ve got you covered. 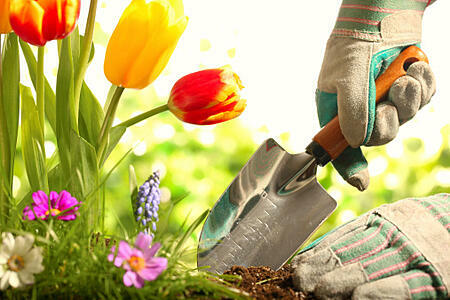 From beginners to experts, there’s something for everyone in this list of spring gardening tips! Prepare your hands for planting by running your fingernails along a bar of soap. The soap will build up beneath your nails, sealing out any dirt and debris. Once you’re finished gardening, simply wash your hands using a nailbrush. This will help remove the soap and reveal clean hands! Create tools that multitask. Having a shovel is great, but what if it could double as a yardstick? Hold an actual yardstick or tape measure along the length of the tool’s handle. Then, use a permanent marker to indicate the lines. If you ever need to properly space out plants, you’ll already have a measuring device on hand! Arrange your space before you begin planting. Keep your plants in their pots until you’ve created a good layout for your garden. Then, you can begin placing them in the ground. Only dig in relatively dry soil. Ensure that the ground is reasonably dry before you begin planting. Soil that is too wet will clump together and defeat the purpose. Plant bulbs in odd-numbered clusters to get that natural look. Don’t just plant one bulb by itself, and stay away from even numbers, too. Keep track of your plants by using stones. Gather some large, relatively flat stones. Then, use a permanent marker to write the names of your plants on the rocks. Place the rocks at the bases of their respective plants. Consider adding a brick or stone pathway to your garden area. This can help stomp out weeds while adding a touch of curb appeal to your home. Reuse those old pantyhose. When tomatoes get too heavy, the plants tend to bend, often letting your fresh fruit touch the ground. This fruit, then, begins to rot or gets eaten by whatever critters frequent your garden. Pantyhose fabric is a great material for securing tomato plants to wooden stakes. Before potting a plant, consider the amount of time you can devote to it. Potted plants rely on human care to thrive and survive. Plants placed within the ground have Mother Nature to look after them. Save space. If you don’t have room for a full garden, you may want to look into vertical gardening. Designate a place to store your gardening tools and supplies. These materials can go missing or rust and deteriorate when left out in the elements. Take care of these pieces by storing them in a shed or portable warehouse. 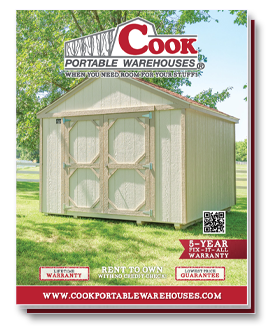 Having a portable shed nearby will ensure that you have a place to store tools, planting materials, fresh fruit and veggies, and more. Wondering if a garden shed would fit well in your own yard? Check out our free Location Guide below!